The Indianapolis-based, atmospheric post-metal group CHROME WAVES are drawing ever nearer to the arrival of their impending début full-length, ‘A Grief Observed‘, which will be released through Disorder Recordings on March 1st. CHROME WAVES boasts a roster of experienced veterans within the band’s ranks from the world of music, having been originally formed in 2010 by Jeff Wilson (ex-Nachtmystium, ex-Wolvhammer, ex-Abigail Williams) and “Iron” Bob Fouts (The Gates Of Slumber, ex-Apostle Of Solitude). The pair eventually brought in Stavros Giannopoulos (The Atlas Moth) to compete their line up and in 2012, released an eponymous EP that went on to garner much acclaim for the band. 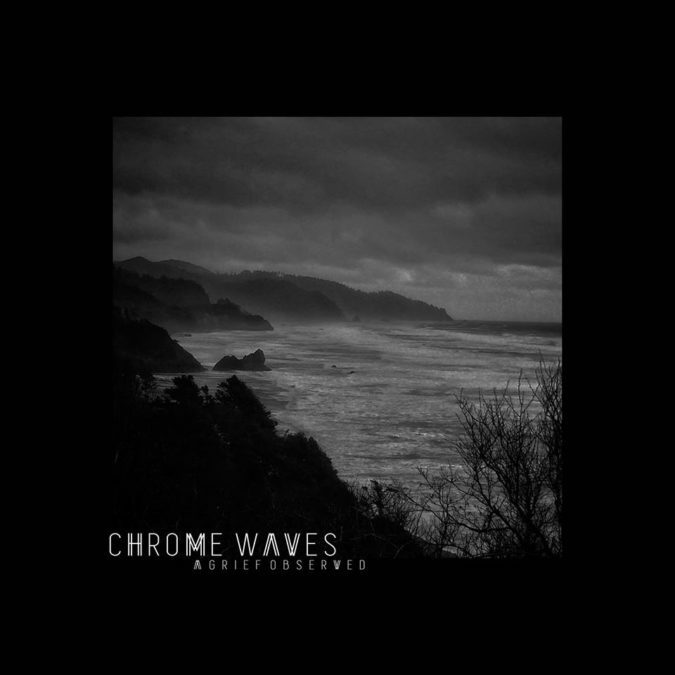 The music of CHROME WAVES is dark and emotionally striking, augmented with gothic tinting and unexpected divergent turns throughout. Though writing for a full-length album began in 2014, work was slowed by obligations to other bands and projects, but things did continue and progress, albeit at a prolonged pace. In 2018, everything changed as Jeff Wilson exited both Abigail Williams and Wolvhammer, moves that resulted in his having more time to focus on CHROME WAVES. Eventually, new guitarist / vocalist James Benson (Amiensus) was recruited to the band and alongside the returning Bob Fouts on drums, CHROME WAVES‘ revamped line up went to work completing the new album. Now, CHROME WAVES makes its return with the newly reinvigorated line up of players and ‘A Grief Observed‘, engineered by Niko Albanese and the band’s James Benson and Jeff Wilson. It will arrive on LP, CD, and digital formats via Disorder Recordings March 1st, and also features artwork created by Jeff Wilson. Along with the unveiling of the album details, the single “Burdened” is available for streaming. In addition, a non-album cover of the Slowdive song, “When The Sun Hits” is also included today. The reinterpretation features some guests – former GWAR member Kim Dylla and Nihilterrmos guitarist Micah Leonetti (ex-Wolvhammer). In related news, CHROME WAVES announce the “Without Waves 2019” mini-tour which will launch just days prior to the release of ‘A Grief Observed‘ (itinerary below). A new single from ‘A Grief Observed‘ is set to be released later this week, with additional tour news to be announced shortly. 2019, Album Art, Audio Stream, Bandcamp, Bob Fouts, Chrome Waves, Disorder Recordings, Indiana, James Benson, Jeff Wilson, Metal, Niko Albanese, Post-Metal, Psychedelia, Streaming, Tour Dates, U.S.